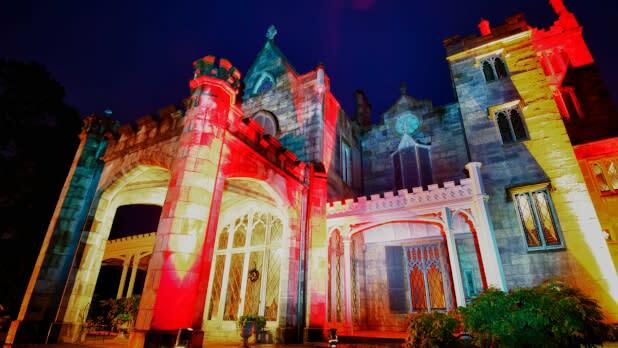 Start your weekend early with a morning guided tour of historic Lyndhurst Castle, whose exterior was used for movies based on the classic vampire soap opera Dark Shadows. Tours depart on the hour from 10 am to experience this historic estate with a Gothic flair. An afternoon visit to Washington Irving’s Sunnyside estate allows you to tour the author’s riverside home and admire its unique architecture. You’ll hear about what led Irving to write his most famous short story and see works of art that it inspired. The historic games and Headless Horseman art activities are great for families. 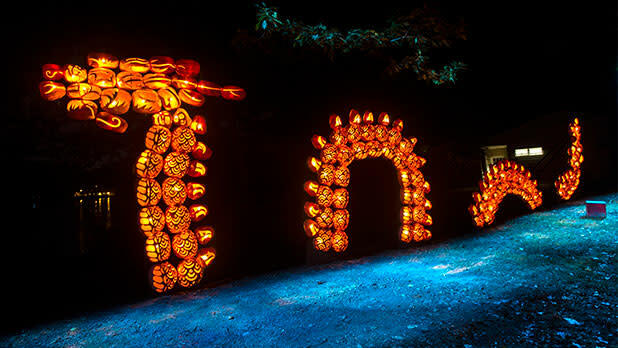 The Great Jack O’Lantern Blaze in nearby Croton-on-Hudson is a one-of-a-kind nighttime display of thousands of carved pumpkins shaped into themed sculptures and accompanied by original music and dramatic lighting effects. Tickets routinely sell out during peak weekends, so make reservations early. 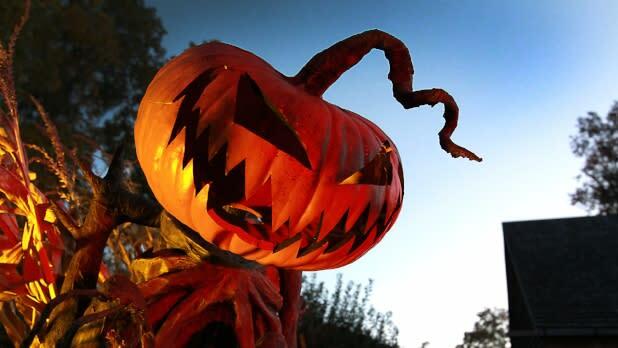 In the alternative, historic Philipsburg Manor transforms on select October evenings into the walk through Horseman’s Hollow. This isn’t your typical haunted attraction—no Freddy, Jason, or Michael here. Its great scares and top-notch costumes, sets, and effects have a historic theme, as if a village during the time of the Legend of Sleepy Hollow became haunted. The Manor is also worth a daytime visit any time of year, with its working gristmill and hands-on activities from the 18th century telling the little-known story of slavery in the colonial north. 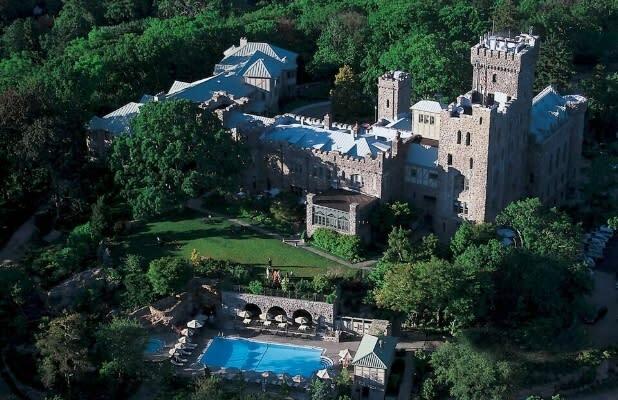 Back in the daylight, the spectacular Rockefeller estate Kykuit has gardens, an underground art collection, and an assortment of classic automobiles and coaches. 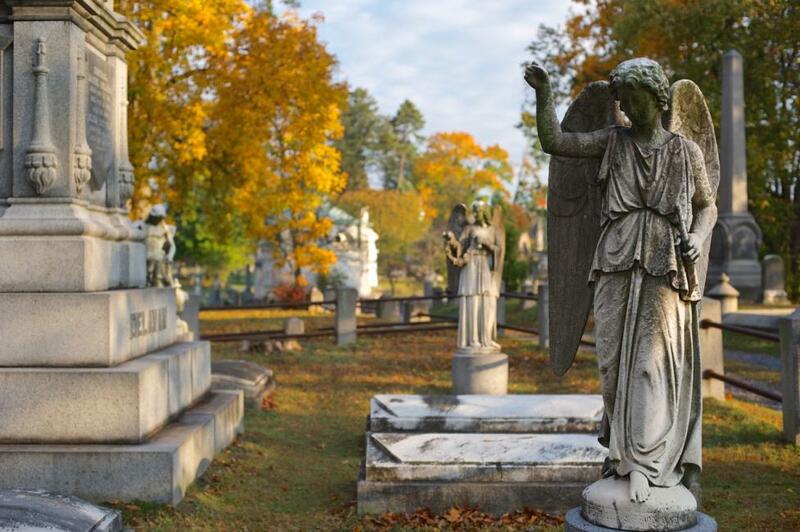 Most people visit to meander around the cemetery, which is incredibly picturesque with just the right amount of creepy. Rockefeller State Park offers seasonal activities including hiking, running, bird-watching, fishing (New York state fishing license required), picnicking, horseback-riding, carriage-driving, photography, painting, and geocaching (park permit required). 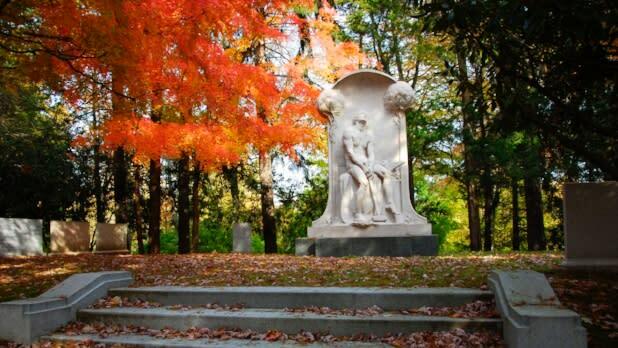 During the day, the Sleepy Hollow Cemetery offers a tour focusing on Washington Irving and The Legend of Sleepy Hollow. After dark, there are tours by lantern-light like "Murder & Mayhem" and "The Good, the Bad and the Unusual." Old Dutch Church of Sleepy Hollow is the stone church and adjoining burial ground featured in Irving&apos;s tale. 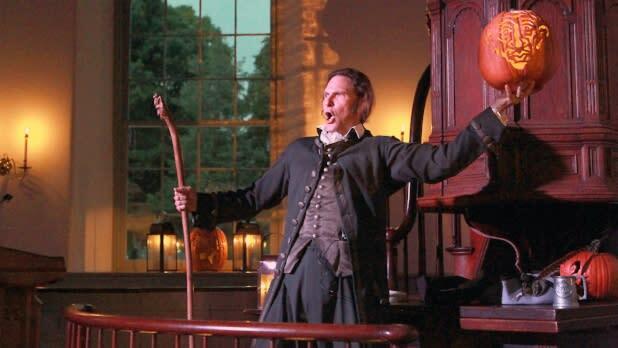 Inside on fall evenings, Irving’s “Legend” is a one-man telling of the famous tale by candlelight with live organ accompaniment. More atmospheric than scary, it is suitable for the whole family. 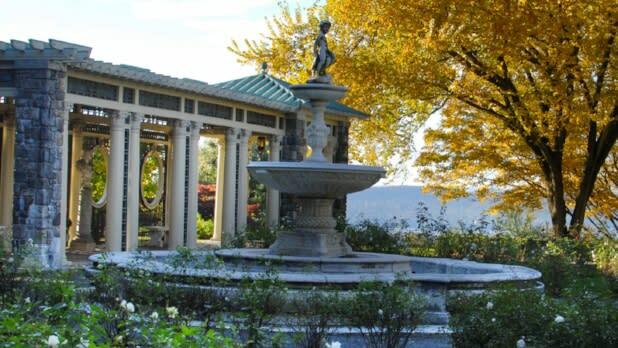 Sleepy Hollow and neighboring Tarrytown have a deep immigrant history resulting in a rich mix of cuisines: Italian, Greek, Mexican, Indian, French, Portuguese, Irish, Japanese, Dominican, Chinese, Ecuadorian, Thai, Moroccan, Chilean, and farmers markets featuring local produce. Foodies should not miss the Tarrytown and Sleepy Hollow farmers market at Patriots Park where you’ll find fresh Hudson Valley produce, meat, bread, and wine. Lefteris Gyro along Tarrytown’s charming Main Street offers the perfect lunch option—it’s casual and easy, suitable for the whole family. Sweet Grass Grill is a gorgeous farm-to-table restaurant which offers high-end and low-end options with something for everyone. Tarry Tavern is a classic American Tavern with a menu that showcases the bounty of the Hudson Valley. Bridge View Tavern is perfect for beer lovers with at least 15 beers on tap and an emphasis on craft and regional brews, including the local Captain Lawrence. Order any of their award-winning beers or try a limited-release specialty brew and pair it with delicious food from their seasonally fresh menu. For that special night out or romantic evening, Equus offers an outstanding dining experience with breathtaking hilltop views across the Hudson Valley. The restaurant is open for breakfast and dinner daily, lunch Monday through Friday, brunch Saturday and Sunday. Stay at Castle Hotel and Spa and treat yourself to a Thai-inspired spa that is great for pampering or a romantic activity for couples. With a mindful use of ecological materials and thoughtful attention to detail, the award-winning Crabtree’s Kittle House and its beautiful grounds exude a quiet elegance, befitting its charmed past. Dining options including an award-winning wine cellar. Super 8 is a great budget option. 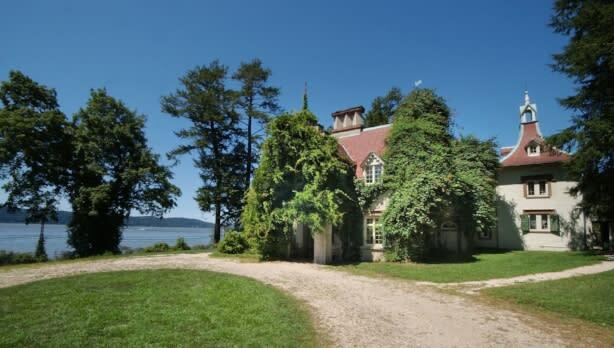 Located just over the river, it&apos;s about six miles from Tarrytown, seven from Sleepy Hollow.